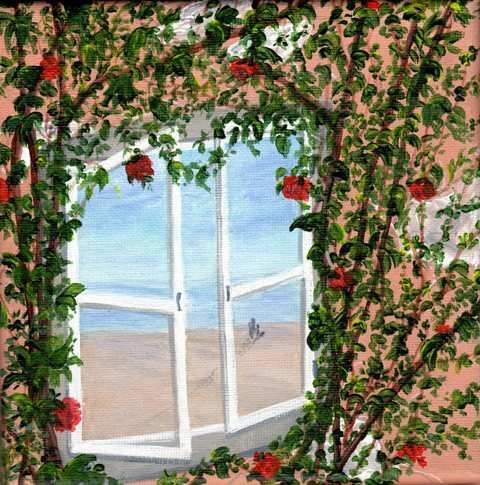 A mini art on canvas in acrylic showing a window in a wall, opening to a beach scene on a lovely sunny day. An original painting, signed by the artist and varnished for a professional finish with a natural wood box frame. 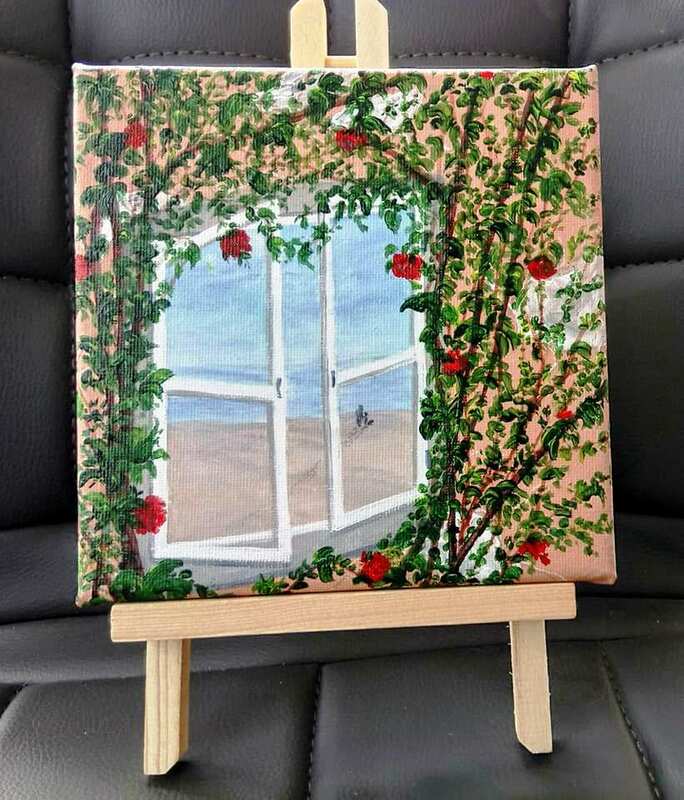 An ideal gift for someone who has limited space but would like to own an original work of art. Small enough to fit into any room but unique enough to be noticed by all.